Ramona teaches students on a one-to-one basis and sometimes conducts workshops. She also works with storytellers, taking combined music and storytelling sessions into schools. Ramona teaches both children and adults, building on developing technique and musical knowledge. Whether the aim is to progress to performing or purely for personal enjoyment and expression, Ramona works with students as individuals at their own pace. 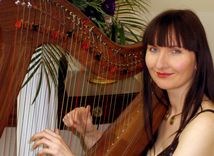 In 2009, Ramona was approached by Broadstairs Folk Festival to host an East European workshop. A potentially wide and challenging brief; to represent music from across East Europe and to include players from beginners through to advanced. The workshop in fact became a valuable opportunity for Ramona to collate and share some of the Latvian tunes passed on from her father Vilnis and to incorporate her love of Swedish, Bulgarian and Gypsy music. It generated some wonderful jamming and musical contributions from the people who attended. Ramona also performs in schools with captivating storyteller Tony Edwards. Together they interweave timeless stories and music from around the world to stimulate and enrich the children’s imagination. Tales from merchants, soldiers, sailors from oral traditions encompassing India, Africa, Asia, the Ancient Greeks’. Tony is an experienced teacher and storyteller who brings to life carefully selected stories, appropriate and appealing to children. He has taught all ages from key stage one to four as well as being a head teacher. During his 30 years experience in education Tony has seen how stories help children make sense of the world whilst developing key skills for living and personal growth. Together Ramona and Tony integrate musical effects, songs and puppets to enhance the narratives and to introduce the children to a varied collection of instruments, demonstrating their use in a range of musical traditions and styles. The ensemble can be extended to include additional musicians Francis Kendall and Geoffrey Richardson. For St. Patrick’s week, Ramona and Tony have created ‘Tales and tunes from the Emerald Isle’: Storytelling and music celebrating the rich oral tradition of old Ireland. Transported to castles, caves, lochs and bogs of Ancient Ireland, the children meet legendary characters including: King Brian Boru; The Giant Finn M’ Coul; Michael O’ Hearne; The Fairy Folk; Selchie Seal People and Jack, the widow’s son. The stories are punctuated by humour; duelling bodhrans; jigs and reels on fiddle / whistle and enigmatic airs on Celtic harp. Contact Ramona for more details about storytelling. Ramona and Tony are currently extending their repertoire by developing storytelling sessions to mark and explore other significant dates of the British Isle’s cultural calendar i.e. St. George’s, St David’s, St Andrew’s and Burns’ day. Ramona also performs with other storytellers presenting cultural evenings designed for adult audiences.